The new TRAI Cable TV Rules are going to be effective in a few days, the confusion among customers continue. While you have the liberty to choose what you want to watch now, it’s still not clear how to do it. Soon, the days will be over where you no more will have to pay for the channels you don’t watch. The base Rs 130 pack can have 100 SD under the latest TRAI cable TV ruling. has issued another clarification. So the Rs 130 base after taxes will cost Rs 153.40. While TRAI said you can add any channel you want, it comes with certain limitations. This is where the confusion is created. There are basically free to air channels, paid channels and bouquet of pay channels. Under the Rs 130 base pack, you can choose a combination of these type of channels. January 31 is the last date. You will have choose your pack by the TRAI deadline. Under the base pack, apart from the FTA (Free To Air) channels, you can choose any paid channel, and the cost keeps adding up. But do remember, that you can only add up to a total of 100 channels under the base pack. You can add a-la carte channels to your Rs 130 base pack. To choose channels, either you have to contact your cable TV operator or can do it by yourself. Step 1. 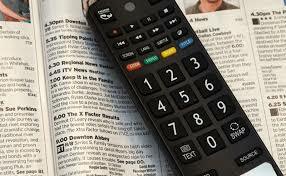 Search for Electronic Programme Guide (EPG). This will include the maximum retail price (MRP) of all the channels. Step 3. If you can’t find the Electronic Programme Guide (EPG), you can find the respective prices in the Menu option of your set top boxes. Step 4. All the prices will be managed by your Distribution Platform Operator (DPO), who can also offer a discount on the MRP displayed on the EPG. Step 5. If you wish to choose a bouquet of channels from a single broadcaster, like Star or Sony, you can choose the pack instead of a-la carte channels.